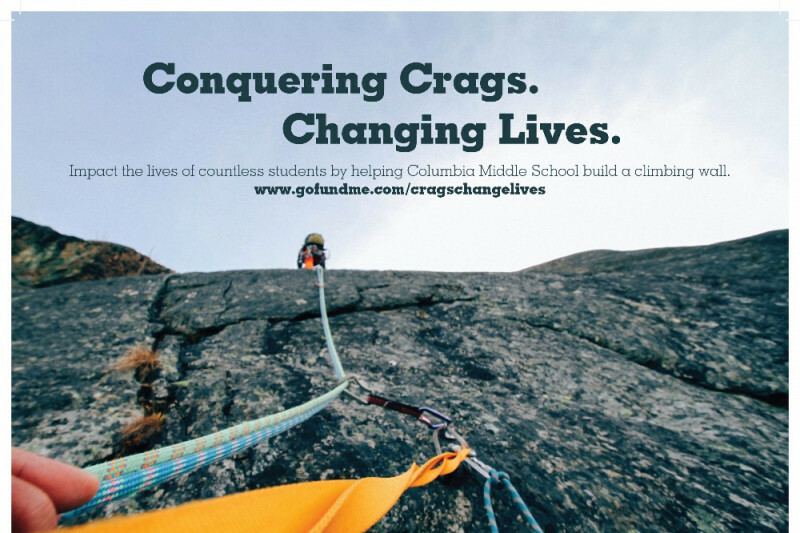 Fundraiser by Katie Collins : Conquering Crags. Changing Lives. When most people think of Colorado they think of picturesque mountain landscapes, powdery ski slopes and untouched pine tree forests filled with adventure and intrigue. Despite the fact that we are located in the heart of Colorado many of our students never get the chance to visit our beautiful Rocky Mountains. In order to help our studets build the confidence they need to tackle the great outdoors, and to help our students develop amazing team work capabilities we would like to build an indoor climbing wall in our outdated small gym. Columbia Middle School is located in Aurora, Colorado. 756 students from grades 6-8 attend the school. The student body population at Columbia Middle School is 70% free and reduced lunch and our students hail from a variety of different countries including Indonesia, Democratic Republic of Congo and Mexico. Soccer, basketball and volleyball are popular sports among our students, but many of them are left out of physical activity due to a lack of interest and skill when playing team sports in gym class or after school activities. We want to build a climbing gym in order to provide an activity where all students can be successful. Climbing does not only require students to be physically fit, it also requires them to have strong problem solving skills, excellent team work capabilities, and mental and physical flexibility. We believe that by offering students to the opportunity to learn to climb in gym class and in before and after school climbing clubs their physical, emotional and academic well being will increase tremendously. We are envisioning building a climbing wall in the small gym that would include at least four top ropes and a large bouldering area. This beautiful wall will bring new life to the small gym and will help kids get excited about being physically active. Climbing is an activity that is not usually accessible to students from low income communities due to the high cost of equipment and the lack of facilities located in these communities. We want to broaden our students' horizons by building a gym right in their school! Please help us change the lives of our students by making this dream a reality!